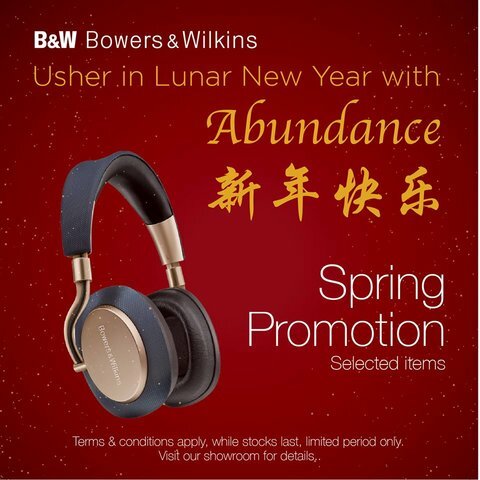 Bowers & Wilkins The Gardens Mall 2019 CNY Promo! Greetings from Bowers & Wilkins @ The Gardens Midvalley City! We are excited to announce that we are having our 2019 Chinese New Year promotion going on from now till 4th Feb 2019 for all walk-in customers to the showroom. Please visit us at Lot. S-207, 2nd Floor, The Gardens Midvalley City Kuala Lumpur. We have B&W headphones, wireless speakers, bookshelf/floorstanding speakers from our entry level 600 series to the flagship 800 D3 series speakers for audition during normal retail hour 10am-10pm. We also carry Van Den Hul, Rotel and Pro-Ject Audio. We look forward to seeing you in the showroom.